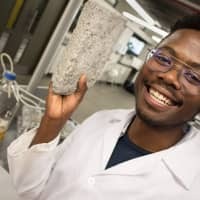 CAPE TOWN - South African researchers have made bricks using human urine in a process that could one day help reduce global warming emissions by finding a productive use for the waste product. 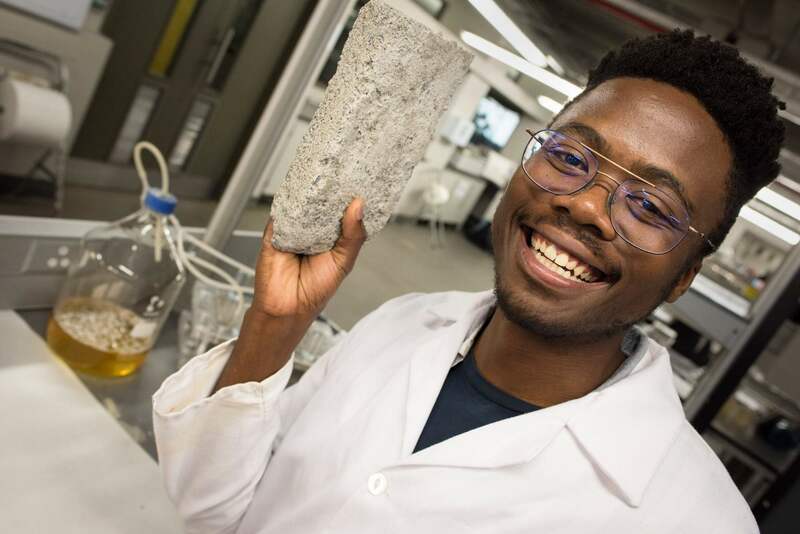 The gray bricks are produced in a lab over eight days using urine, calcium, sand and bacteria. Fertilizers are also produced. And the bricks do not smell. The bricks are made using urea — a chemical found in urine and also synthesized around the world to make fertilizer. 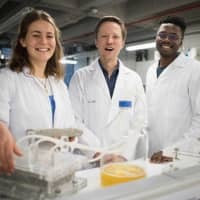 The process of growing bricks from urea has been tested in the United States with synthetic solutions, but the new brick uses human urine for the first time, the researchers said. 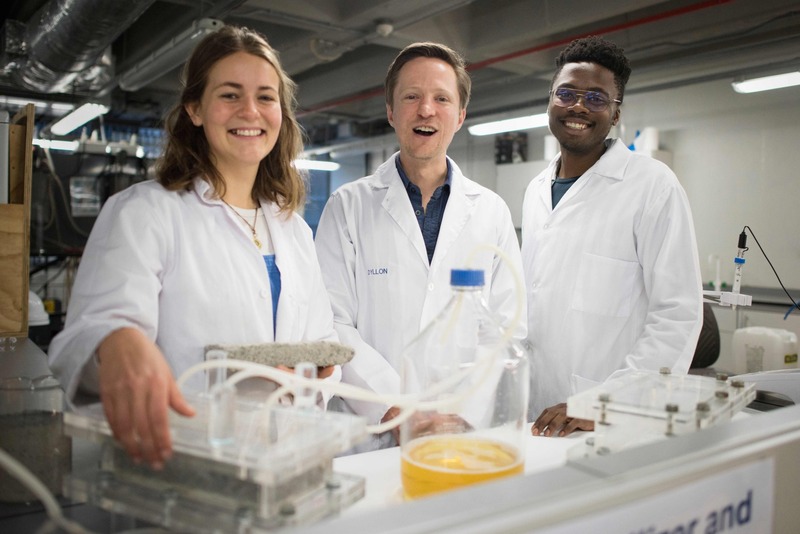 The bio-bricks are created through a process called microbial induced carbonate precipitation, which is similar to the process that produces coral reefs. Loose sand is colonized with bacteria that produce the enzyme urease. The enzyme breaks down the urea in urine while producing the rocky substance calcium carbonate through a complex chemical reaction. One obstacle preventing mass production is that the bricks use huge amounts of pee. To make a single brick requires about 20 liters of urine — a couple of weeks’ worth of wee for a typical adult.